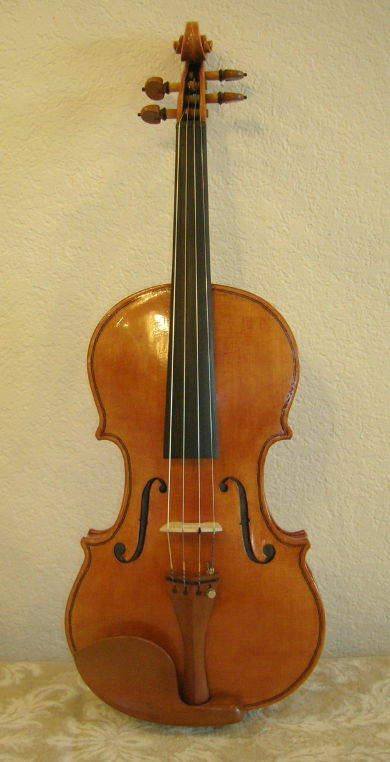 The finished violin. I used a gamboge base to seal the violin, then a brown oil varnish for the color. For the setup, I used boxwood pegs, tailpiece and chinrest which matches the brown nicely. This entry was posted in Violin Construction on December 20, 2015 by andrewkeim.